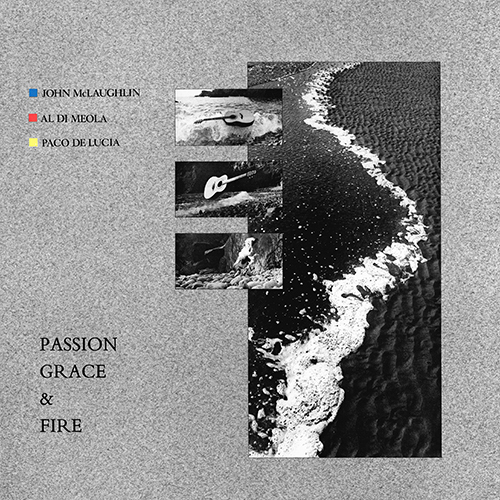 Two years after they recorded Friday Night in San Francisco, John McLaughlin, Al di Meola and Paco de Luc�a reunited for another set of acoustic guitar trios, Passion, Grace and Fire, If this can be considered a guitar "battle" (some of the playing is ferocious and these speed demons do not let up too often), then the result is a three-way tie. This guitar summit lives up to its title. In 2008 McLaughlin issued Floating Point, an extension of many of the concepts on Industrial Zen, on the Abstract Logix imprint. The final track on that album was entitled "Five Peace Band"; it served as the name for a supergroup assembled by McLaughlin and Chick Corea for a one-off world tour. The other members were saxophonist Kenny Garrett, drummer Vinnie Colaiuta, and bassist Christian McBride; an album of the same name was released in 2009 on Concord. To the One, a studio album with his 4th Dimension band, was released on Abstract Logix in the spring of 2010. McLaughlin resurfaced two years later with Now Here This, featuring new 4th Dimension drummer, Ranjit Barot.